In Vedic astrology, there are 9 planets. These are known as Nav (9) and grahas (planets ). Surya is the chief, the solar deity, one of the Adityas, son of Kasyapa and one of his wives Aditi, of Indra. He has hair and arms of gold. 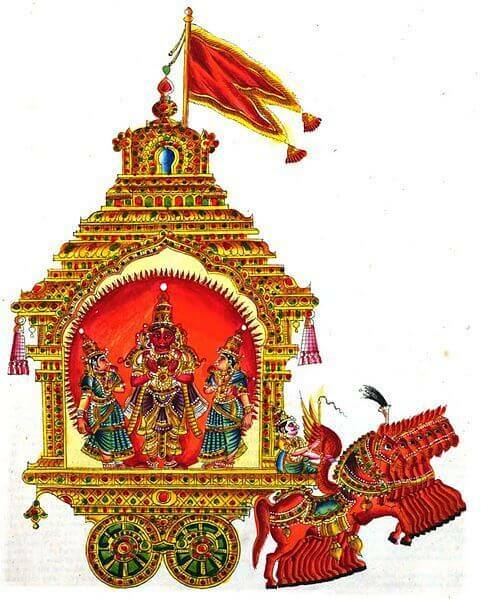 His chariot is pulled by seven horses, which represent the seven chakras. He presides as “Ravi” over “Ravi-vaara” or Sunday. 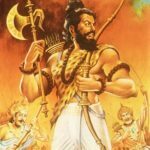 According to Hindu scriptures, among the more renowned progenies of Surya are Shani (Saturn), Yama(God of Death) and Karna (Mahabharata fame). Chandra is a lunar deity. Chandra (moon) is also known as Soma and identified with the Vedic Lunar deity Soma. He is described as young, beautiful, fair; two-armed and having in his hands a club and a lotus. He rides his chariot (the moon) across the sky every night, pulled by ten white horses or an antelope. He is connected with dew, and as such, is one of the gods of fertility. He is also called Nishadipati (Nisha=night; Adipathi=Lord) and Kshuparaka (one who illuminates the night). He as Soma, presides over Somavaaram or Monday. He is of Sattva Guna and represents the Mind, the Queen or Mother. Namaami shashinam somam shambhor mukuta bhooshanam. Mangala is Bhauma (‘son of Bhumi’ or Bha) in Sanskrit. He is the god of war and is celibate. He is considered the son of Prithvi or Bhumi, the Earth Goddess. He is the owner of the Aries and Scorpio signs, and a teacher of the occult sciences (Ruchaka Mahapurusha Yoga). He is of Tamas Guna in nature and represents Energetic action, confidence and ego. He is painted red or flame colour, four-armed, carrying a trident, club, lotus and a spear. 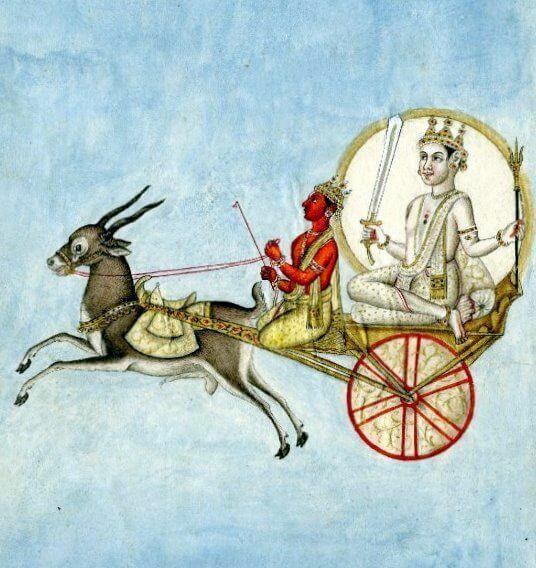 His Vahana (mount) is a ram. He presides over ‘Mangala-vaara’ or Tuesday. Budha is the god of the planet Mercury and the son of Chandra (the moon) with Tara (Taraka). He is also the god of merchandise and protector of merchants. He is of Rajas Guna and represents Communication. He is represented as being mild, eloquent and of greenish colour. He is represented holding a scimitar, a club and a shield, riding a winged lion in Ramghur temple. In other illustrations, he holds a sceptre and lotus and rides a carpet or an eagle or a chariot drawn by lions. Budha presides over ‘Budha-vaaram’ or Wednesday. 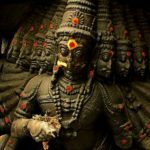 Brihaspati is the Guru of Devas, personification of piety and religion, the chief offerer of prayers and sacrifices, represented as the Purohita of the gods with whom he intercedes for men. He is the Lord of planet Jupiter. He is of Sattva Guna and represents knowledge and teaching. He is often known simply as “Guru”. According to Hindu scriptures, he is the guru of the Devas and the nemesis of Shukracharya, the guru of the Danavasa. He is also known Guru, the god of wisdom and eloquence, to whom various works are ascribed, such as the “atheistic” Barhaspatya sutras. Guru is usually depicted with an elephant or chariot drawn by eight horses as his vehicle. He is also depicted in a lotus flower. His Tattva or element is Akasha or ether, and his direction is north-east. 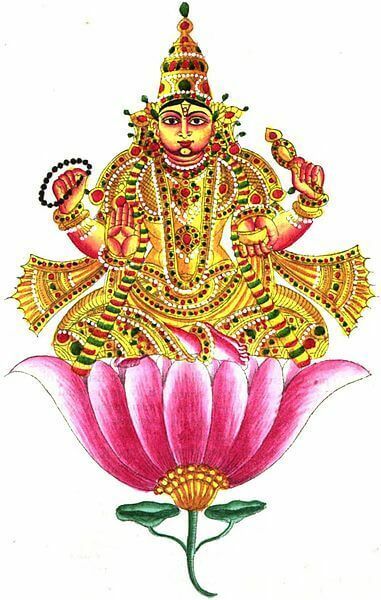 He is described of yellow or golden colour and holding a stick, a lotus and his beads. He presides over ‘Guru-vaaram’, Brihaspativaara or Thursday. Buddhi bhootam trilokesham tam namaami brihaspatim. 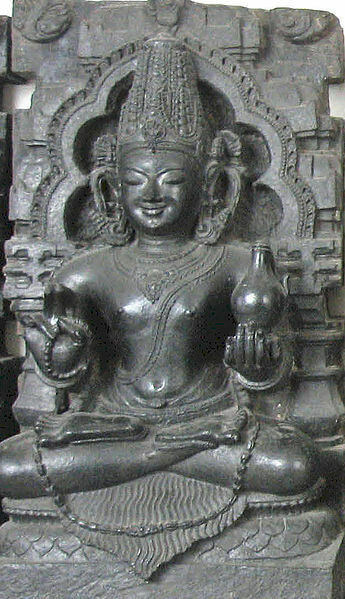 Shukra, Sanskrit for “clear, pure” or “brightness, clearness”, is the name the son of Bhrigu and Ushana, and preceptor of the Daityas, and the guru of the Asuras, identified with the planet Venus (Shukracharya). He presides over ‘Shukra-vaara’ or Friday. He is Rajas in nature and represents wealth, pleasure and reproduction. Sarv shastra pravaktaaram bhargavem pranamamyaham. Shani is one of the nine primary celestial beings in Hindu astrology (that is, Vedic astrology). Shani is embodied in the planet Saturn. 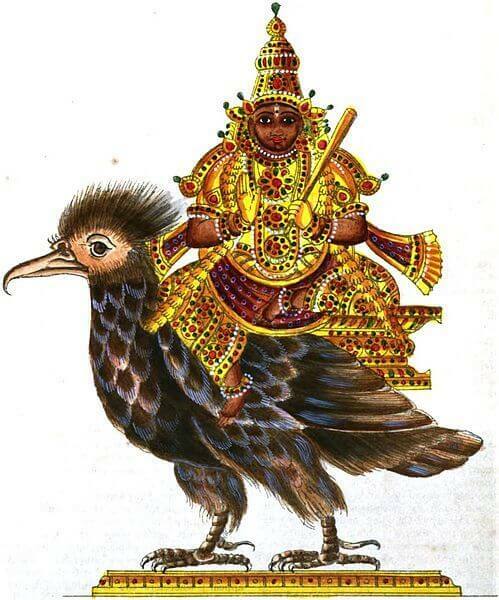 Shani is the son of Surya. His Tattva or element is air, and his direction is west. He is Tamas in nature and represents learning the hard way, Career and Longevity. 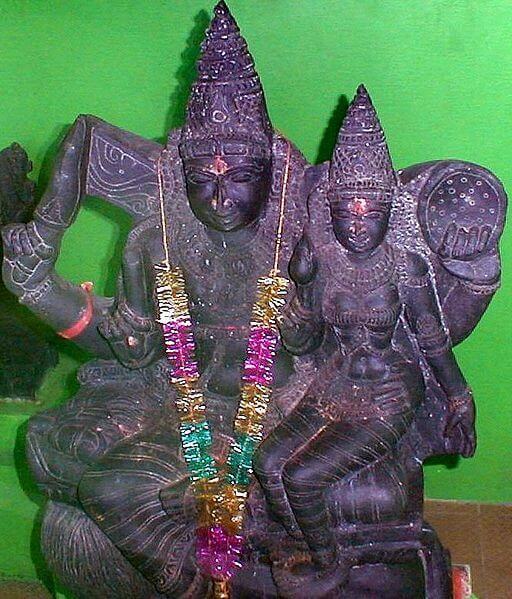 The origin of word Shani(शनि) comes from the following: Shanaye Kramati Sa: (शनये क्रमति सः) i.e. the one who moves slowly. 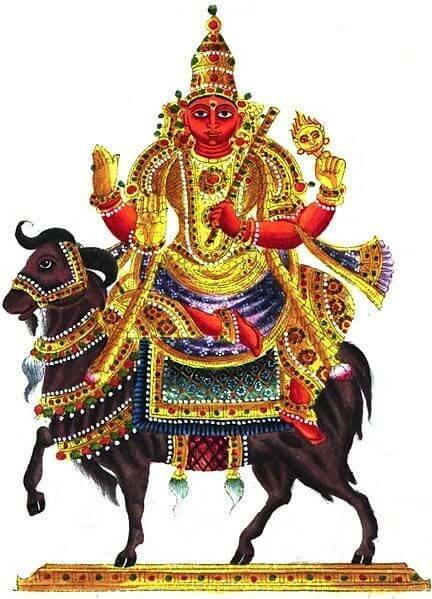 Shani is actually a demi-god and is a son of Surya (the Hindu Sun God) and surya’s wife Chhaya. It is said that when he opened his eyes as a baby for the very first time, the sun went into an eclipse, which clearly denotes the impact of Shani on astrological charts (horoscope). He is depicted dark in colour, clothed in black; holding a sword, arrows and two daggers and variously mounted on a black crow or a raven. He presides over ‘Shani-var’ or Saturday. Chaaya martanda sambhootam tam namaami shanaischaram. 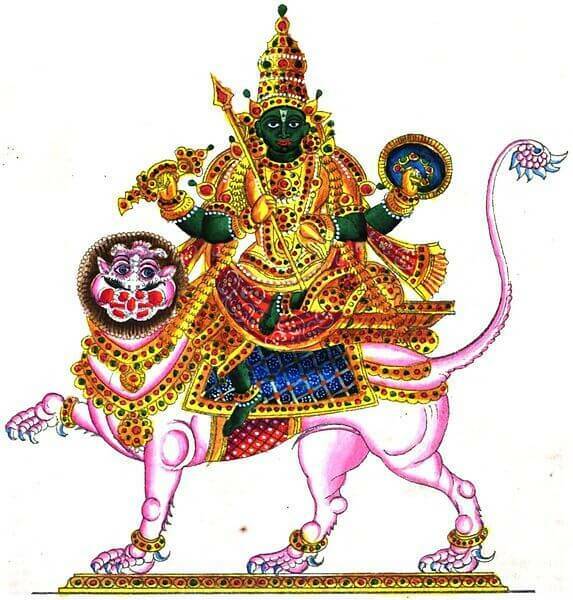 Rahu is God of the Ascending / North lunar node. Rahu is the head of the demonic snake that swallows the sun or the moon causing eclipses, according to Hindu scriptures. He is depicted in art as a dragon with no body riding a chariot drawn by eight black horses. He is a Tamas Asura who does his best to plunge any area of one’s life he controls into chaos. 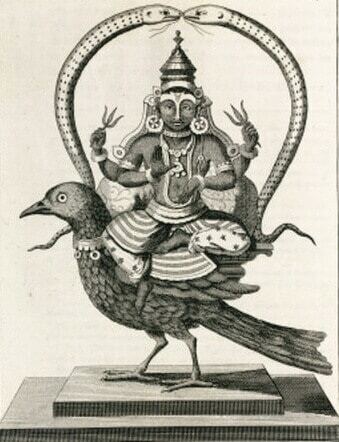 The rahu kala is considered inauspicious. Simhika garbha sambhootam tam rahum pranamaamyaham. Ketu is the Lord of Descending. He is considered as Tail of the Demon Snake. It is believed to have a tremendous impact on human lives and also the whole creation. In some special circumstances it helps someone achieve the zenith of fame. He is Tamas in nature and represents supernatural influences. Roudram roudraatmakam ghoram tam ketum pranamaamyaham.